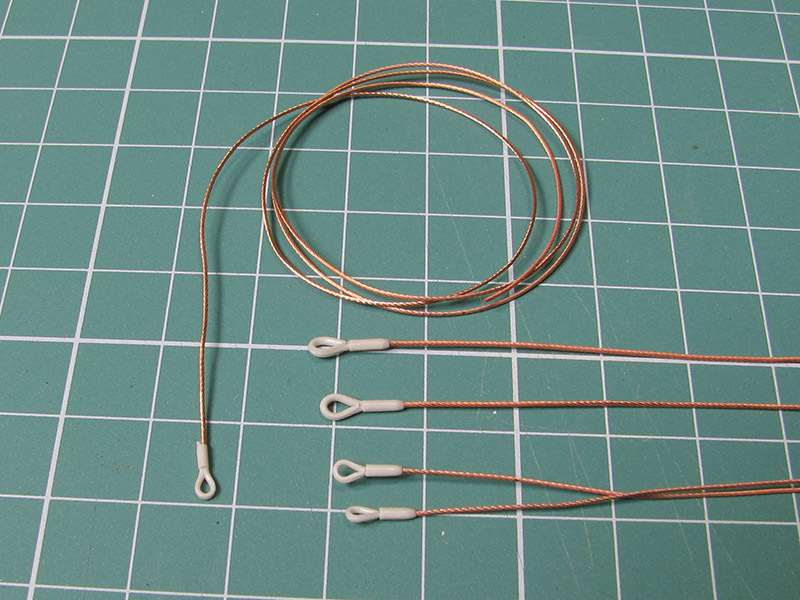 Prepare all parts needed to complete main towing cables, support towing cables and winch cable. 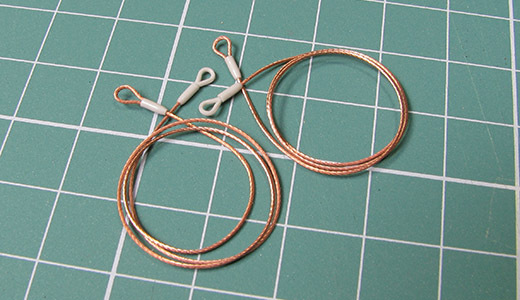 Be careful and don’t mix eyelets and copper line segments. The best idea is to put parts in three different areas of your desk. Glue line segments in pairs to the eyelets and into the resin joining part. Such completed main towing cable section should have 54-55 mm lenght each. 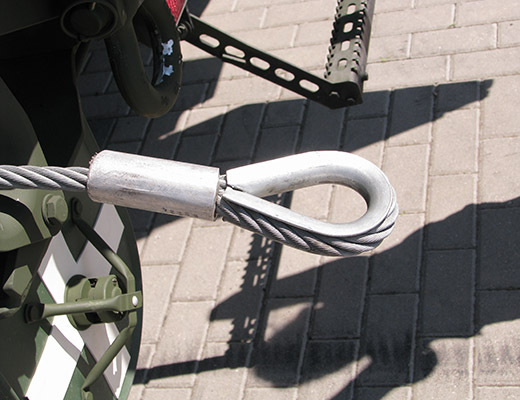 As you may see, support towing cable have different ends — metal eyelet from one side and rope loop from another. Glueing eyelet end is repeating instruction from Step 3. Below is instruction how to glue other end. Glue line into one of the holes in resin tube. Form line in small loop. 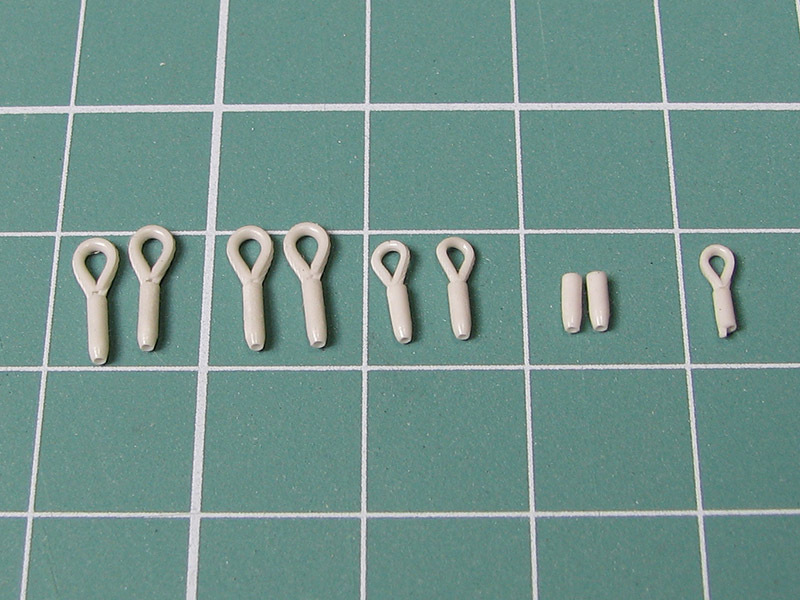 Cut off excessing part of the line, put the line into the second hole in resin tube and glue it with CA glue. 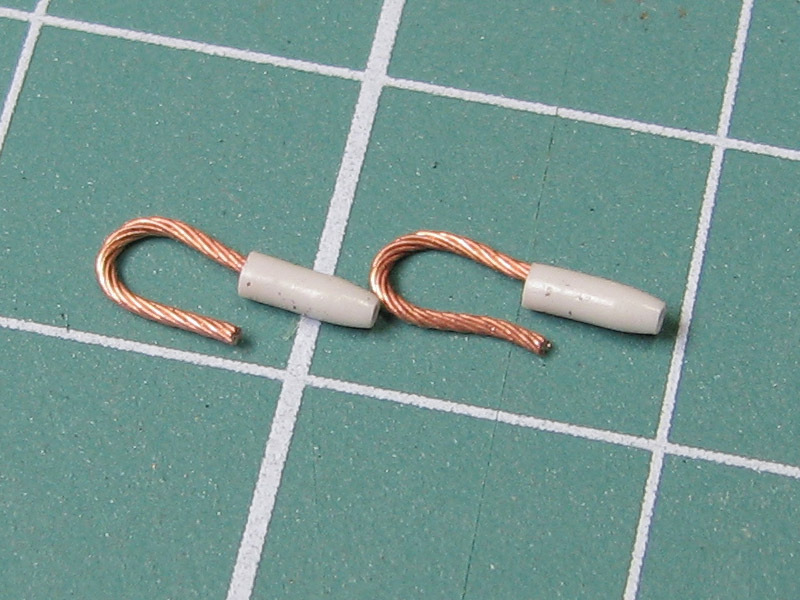 Such prepared ending of the line can be glued to the end of the support towing cable. 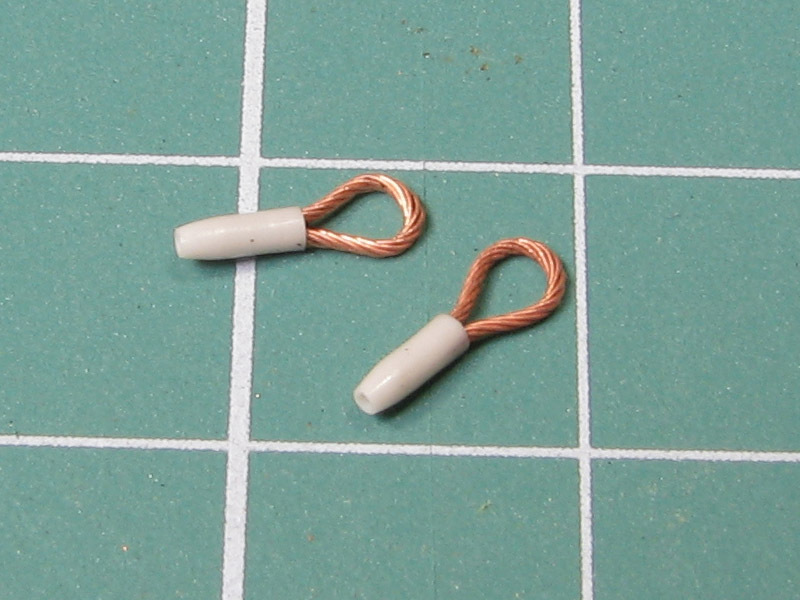 Prepare winch cable just like main towing cable (Step 3). Glue eyelet to the one end of the line, another one should be wound onto a winch drum. 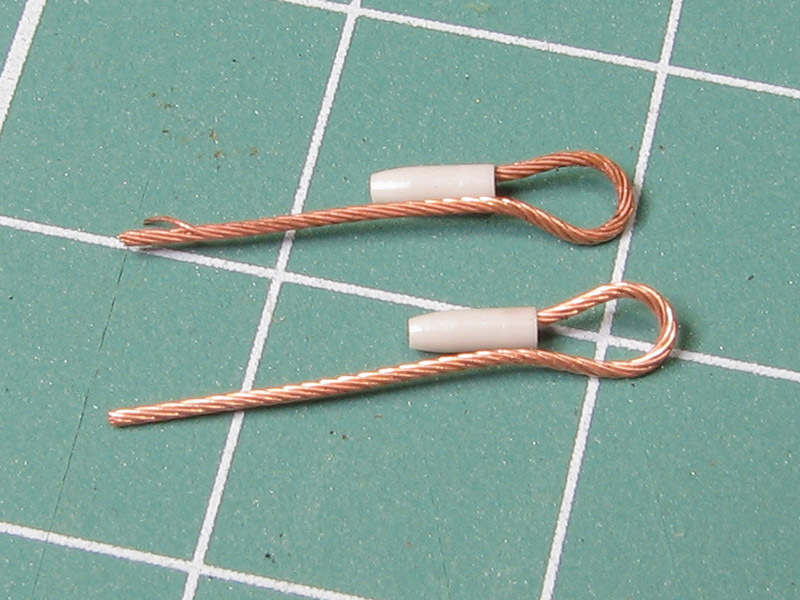 Such prepared towing cable should be primed with Mr.Metal Primer, Mr.Primer Surfacer 1000 or similar primer. Please remember to mask gluing areas before painting. It’s very important for proper fixing of parts. 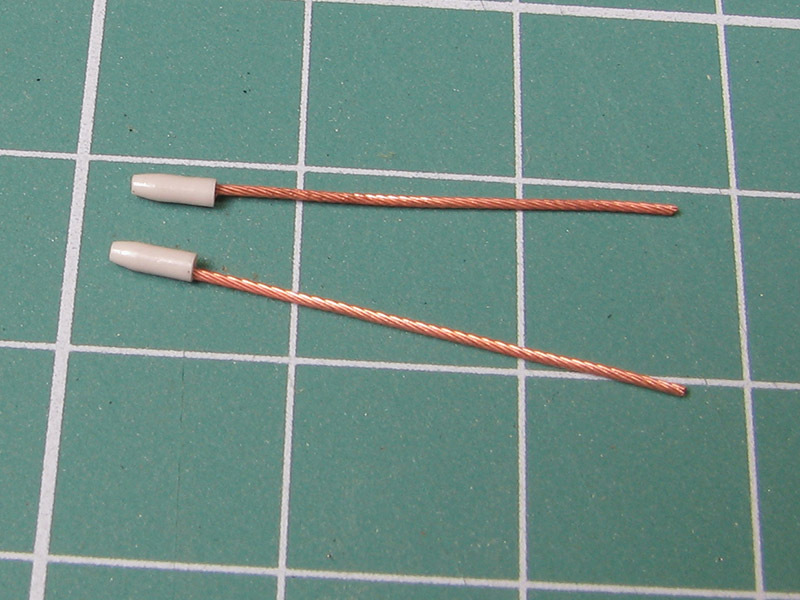 All cables should be painted with light steel colour and can be painted with dark wash to make details more visible. Eyelets should be painted with matt aluminium colour and we can use the same wash as earlier. Lines shouldn’t be weathered with rust — steel used for cables is stainless and Rosomak APCs are new and cared by their crews so any rust is very unlikely.